5. Cabbage, Broccoli, Cauliflower, Kale, And More. 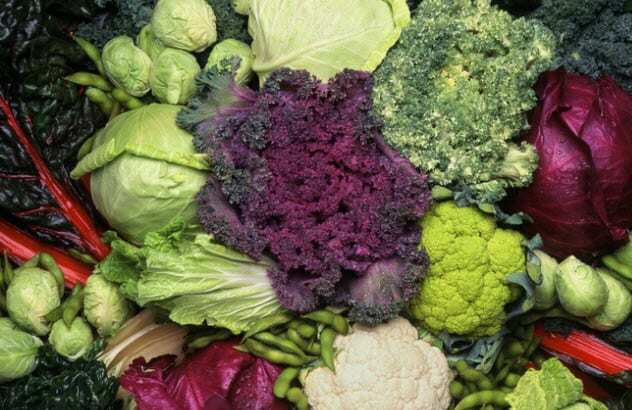 Cabbage, broccoli, cauliflower, kale, brussels sprouts, collard greens, kohlrabi, and several closely related vegetables originated from the same plant species, Brassica oleracea. Its wild form is known as wild mustard and still exists today. About 2,500 years ago, wild mustard only grew in some parts of Europe and the Mediterranean. Wild mustard selected for its bigger stems became kohlrabi, the ones with small heads became brussels sprouts, and the ones with big flowers became broccoli and cauliflower.